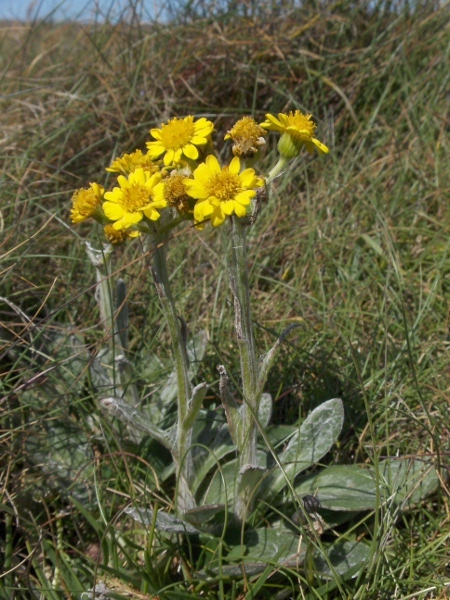 Tephroseris integrifolia subsp. maritima (Syme) B. Nord. Tephroseris integrifolia subsp. maritima, a subspecies endemic to Holyhead Island in North Wales.